Prize & Prejudice is an exhibition and series of programmes dedicated to artistic ambition, struggles and successes of artists emerging from the Slade School of Fine Art during its foundation years. It explores the experience of prize-winning artists, including Winifred Knights, now largely forgotten due to prejudice and circumstance. The exhibition is open 9 January - 8 June 2018 and is accessible to the public from 1 till 5pm, Tuesday to Friday during term time. UCL Art Museum is located in the Wilkins Building, South Cloisters, University College London, Gower Street, WC1E 6BT. Admission is free. ‘There could not be a better example of how to re-establish a reputation that will open up a whole group of neglected artists for future study and a tradition that has been “written out”’. Every year the William MB Berger Prize for British Art History is awarded to a scholarly publication that demonstrates outstanding achievement in the field of British Art History. 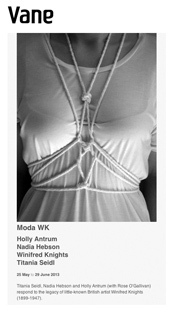 Awarded jointly by The British Art Journal and the Berger Collection Educational Trust, the Berger prize is recognized as the most prestigious award in its field. Sacha Llewellyn is an independent researcher and curator and Director of Liss Llewellyn Fine Art with a particular interest in in interwar British Modernism. 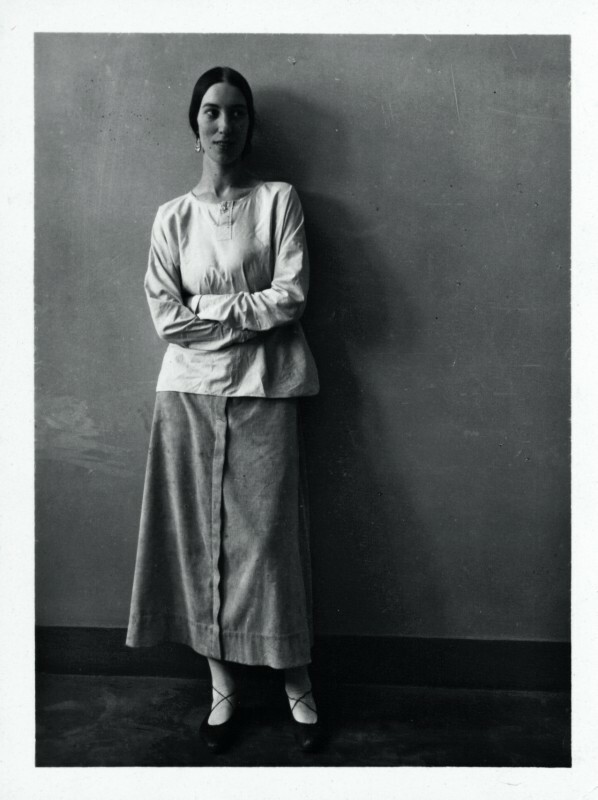 In 2016, she curated the first retrospective exhibition of Winifred Knights at the Dulwich Picture Gallery. 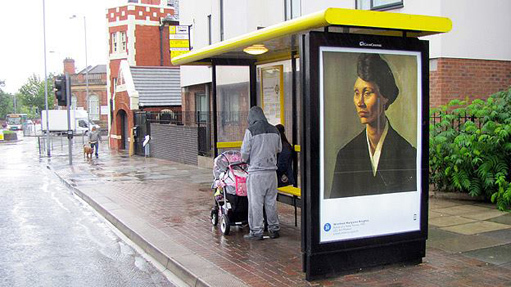 In addition, Sacha is a writer, her recent publications including catalogue essays for “British Realist Painting between the Wars” at the Scottish National Gallery of Modern Art. 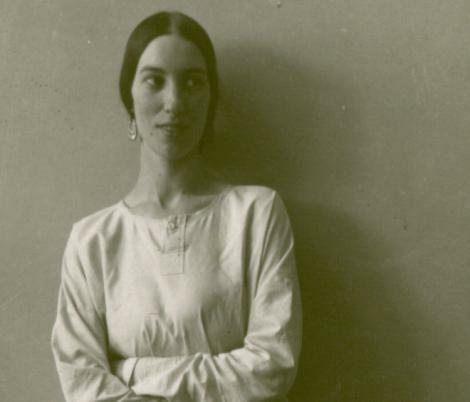 Winifred Knights (1899–1947), the subject of Sacha’s talk, has been described as “Britain’s unknown genius”. Her 6 foot painting The Deluge, 1920, is one of the most instantly recognisable art works of the 20th century. It has become part of our visual landscape having been reproduced repeatedly thereby posing the question why, until recently, she has been relatively unknown. She had a promising start in her artistic life being accepted into The Slade where the eminent Henry Tonks took a interest in her work. She was outstanding winning the prestigious scholarship to the British School at Rome. The Deluge, 1920, oil paint on canvas, 60 x 72 ¼ in. (152.9 x 183.5 cm). ©Tate London 2017. 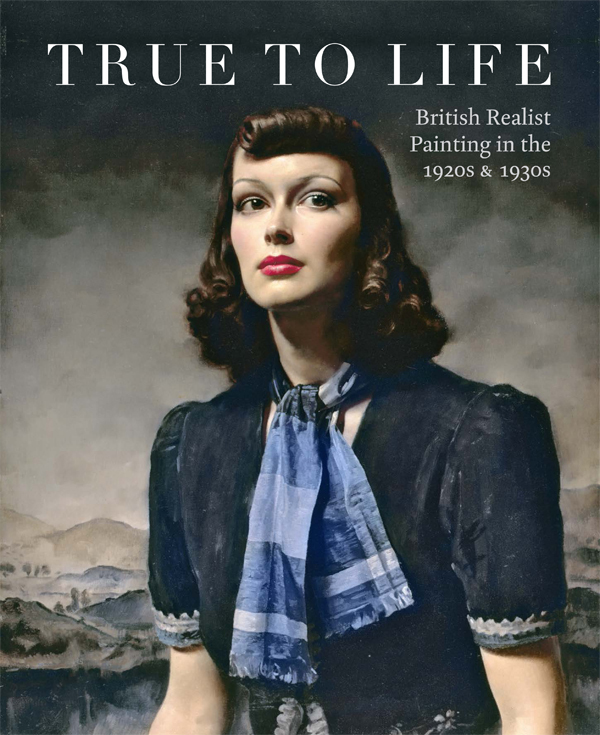 To coincide with the opening of the exhibition True to Life: British Realist Painting in the 1920s and 30s, Sacha Llewellyn will challenge the linear narrative of 20th-century artistic development to reveal realist art as a vital and resilient strand in the years separating the two world wars. This exhibition, showing only in Edinburgh, includes some 80 paintings, of astonishing technical accomplishment and stunning beauty, by more than fifty artists - including Gerald Leslie Brockhurst, Meredith Frampton, Laura Knight, James Cowie and Winifred Knights. Written by Patrick Elliott and Sacha Llewellyn, this catalogue accompanies the exhibition of the same name at the Scottish National Gallery of Modern Art from 1 July to 29 October 2017. 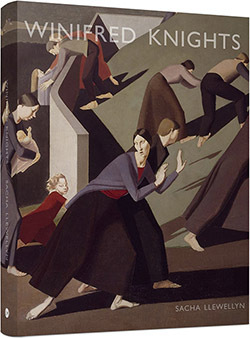 With 140 colour illustrations, four of which are paintings by Winifred Knights. 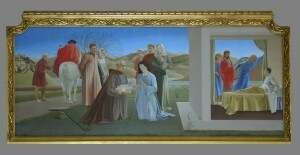 Languishing in near-obscurity for almost 70-years, Winifred Knights’ reputation has recently been re-established in her first-ever retrospective held at Dulwich Picture Gallery over the summer of 2016.
the Yale Centre for British Art. Knights was a prodigious talent, yet she has been virtually ignored for the past half a century. 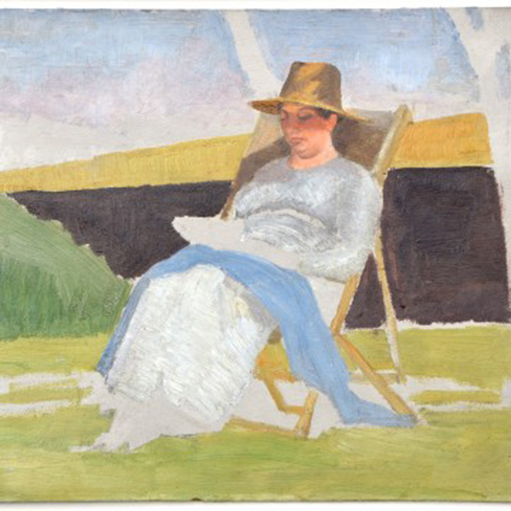 Now, a retrospective of her paintings at the Dulwich Picture Gallery could change that. 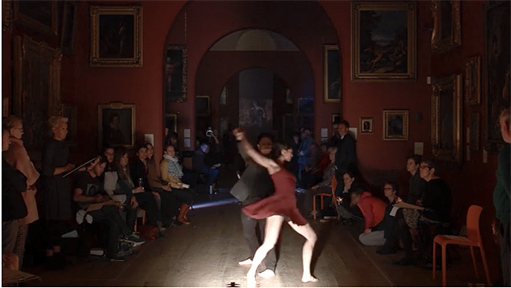 EXODUS: Internationally renowned choreographer and director Dane Hurst returns to the Dulwich Picture Gallery with Exodus, a new commission inspired by Winifred Knights’, The Deluge (6-11 September 2016). A monograph on Winifred Knights, by Sacha Llewellyn, has been published by Lund Humphries on the occasion of the Dulwich exhibition. Drawing on an extensive body of previously unpublished documentary material in the form of letters, notebooks and diaries,the book provides the first full account of her life and oeuvre. Although Winifred Knights’ career was short, she produced a remarkable body of work, brought together for the first time in this publication. 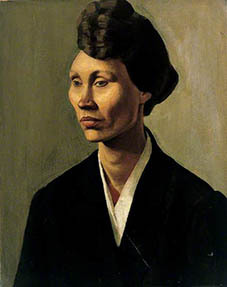 Winifred Knights was the first woman to win the Prix de Rome (1920) and one of the most outstanding, but until recently, neglected British women painters of the twentieth century. Join us for a unique one-off Discovery Day on Winifred Knights that will encompass her life from her years at the Slade School of Fine Art and her First World War evacuation to rural Worcestershire, through to the time she spent at the British School at Rome in the 1920’s and the commissions she worked on in the years leading up to World War II. 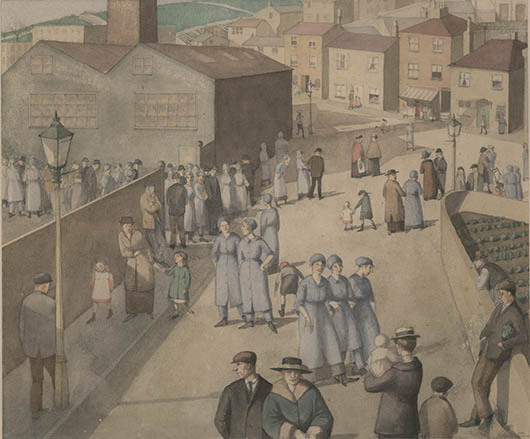 Engage in lively discussion about Britain between the wars, women’s experience of art training, interwar figurative modernism, the revival of religious imagery and much more with a panel of experts. This day-long event will include a Private Viewing of the exhibition, as well as a tour and introduction from the exhibition’s curator, Sacha Llewellyn. Underappreciated genius Winifred Knights is responsibile for some of the most timeless and meticulously crafted artworks produced by a British artist in the twentieth century. Join exhibition curator of Winifred Knights, Sacha Llewellyn, for an in-depth exploration of this fascinating artist as the exhibition is opened to the public. A bijou display of works from the archive of Slade artist Winifred Knights, pupil at JAGS between 1912-15, kindly donated to the school by her son, John Monnington. Includes drawings of trees and nature, life portraits and studies of birds, alongside finished works such as Artist’s Mother and an exquisitely tiny notebook of a young girl’s thoughts and ideas about the world around her. 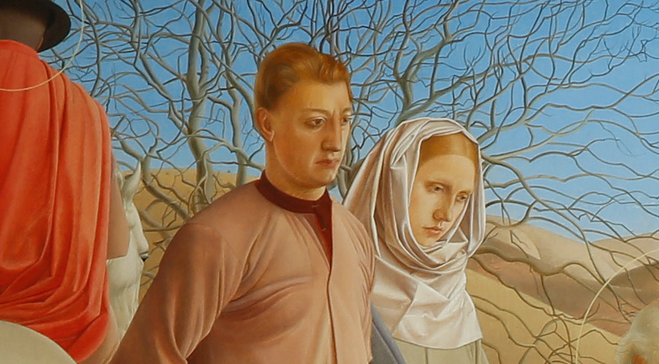 A foretaste of the Winifred Knights exhibition at Dulwich Picture Gallery 8 June – 18 September. Laura Matlock has written an insightful piece about Scenes from the Life of Saint Martin of Tours for Architecture, Religion, Art and Literature. 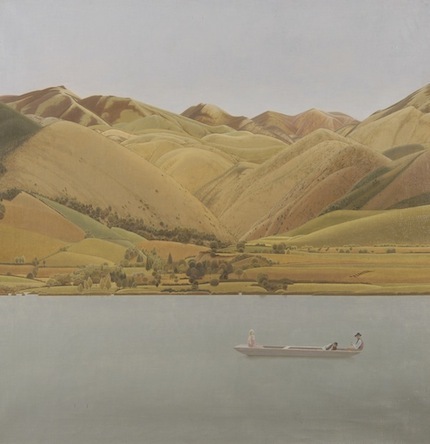 The The Paul Mellon Centre for Studies in British Art have generously awarded a grant to Sacha Llewellyn for her publication, Winifred Knights 1899-1947. The book will be launched at the opening of the Dulwich Picture Gallery exhibition in 2016. PORTRAIT OF A YOUNG WOMAN INCLUDED IN TATE BRITAIN'S DISPLAY SPACES OF BLACK MODERNISM: LONDON 1919–39. 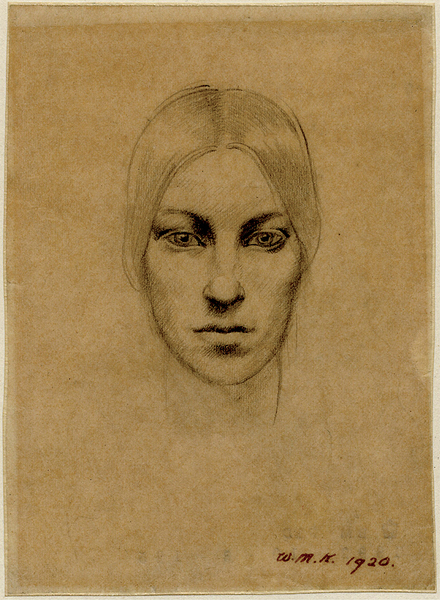 Winifred Knights' Portrait of a Young Woman, UCL Art Museum (now known to be Anna Matilda Fryer) is included in Tate Britain's display, Spaces of Black Modernism: London 1919–39. The exhibition explores the experiences and interactions of people from diverse ethnic backgrounds in London’s art world between the wars. For his recent verse drama Pink Mist, poet, author and playwright Owen Sheers interviewed dozens of wounded soldiers who had returned from conflict, and learned of the emotional fragility that comes with war’s aftermath – a sensation that returned when he stood in front of Winifred Knights’ painting The Deluge at Tate Britain. 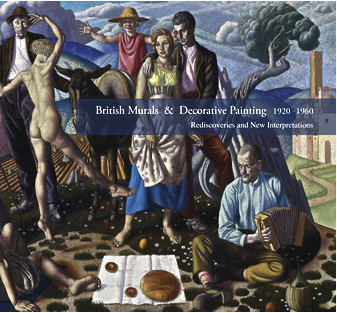 British Murals & Decorative Painting 1920-1960 (Bristol; Sansom & Co. 2013) was launched in February 2013 at an exhibition held in association with The Fine Art Society. Receiving many accolades in the press, both the book and exhibition were seen have broken new ground in this fascinating but under-researched area of British Art. William Packer described the book as ‘a beautifully produced colloquium on the subject’ (Times Newspaper, March 2 2013). 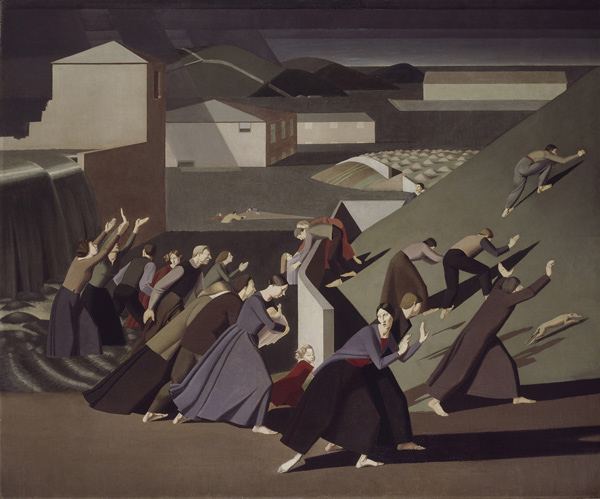 Highlighting the work of many of the inter-war Slade School artists and Rome Scholars, there is a chapter dedicated to Winifred Knights’ enduring competition painting The Deluge, written by Sacha Llewellyn.